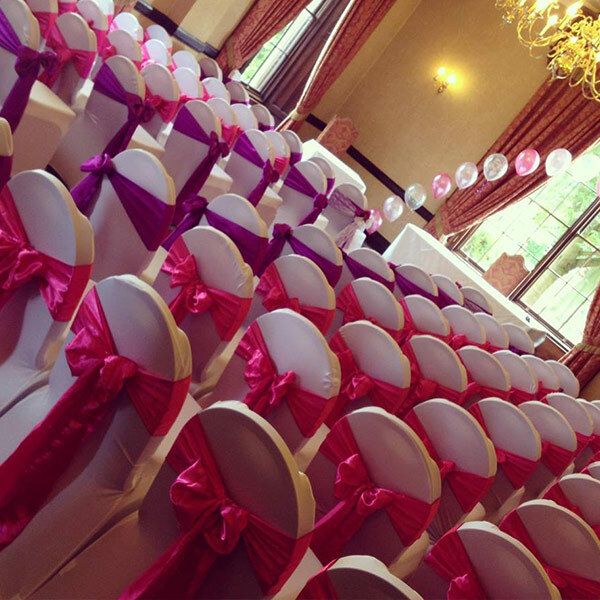 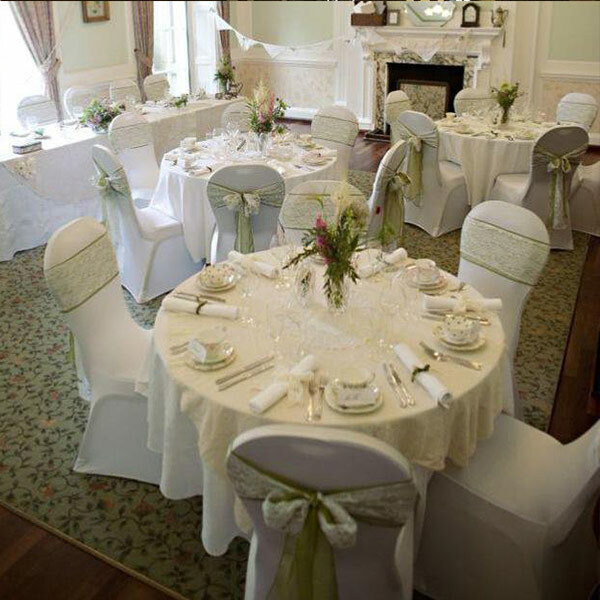 Our Chair Cover Hire service can completely transform the look and feel of any venue. 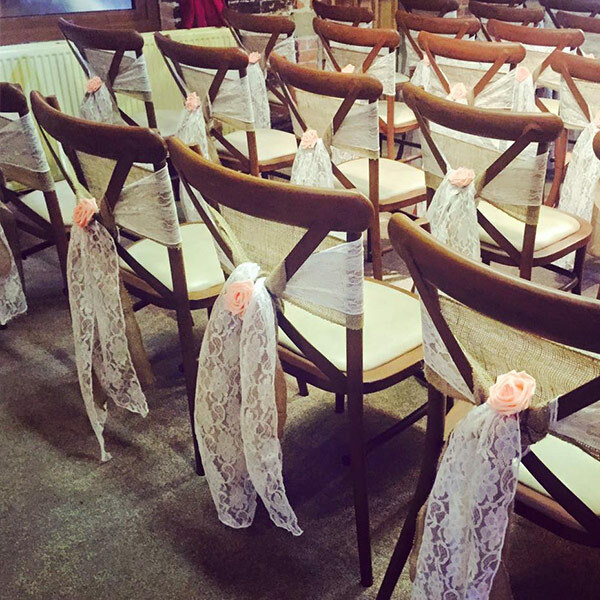 We offer our covers in White, Ivory or Black and have a large selection of sash colours and types to choose from including Sparkle Organza, Satin, Lace & Hessian. 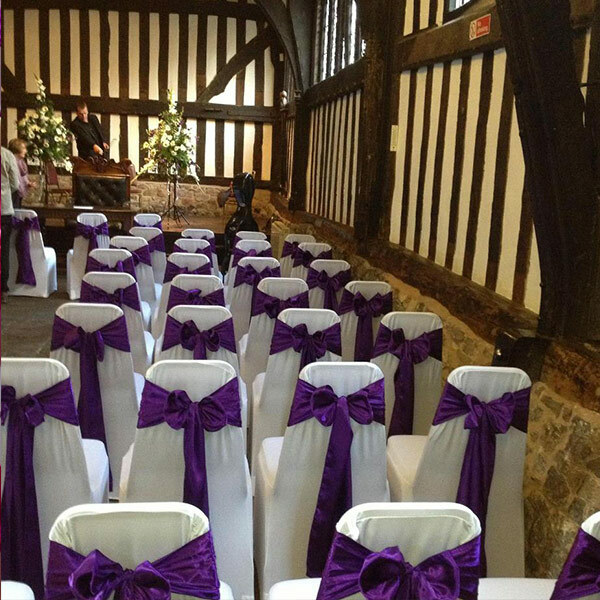 With a professional fitting and collection service included with all Chair Cover Hire transforming your venue is effortless.